The event takes place on the 18th of July starting at 20:00. – Intro: What are Euclydian rhythms? 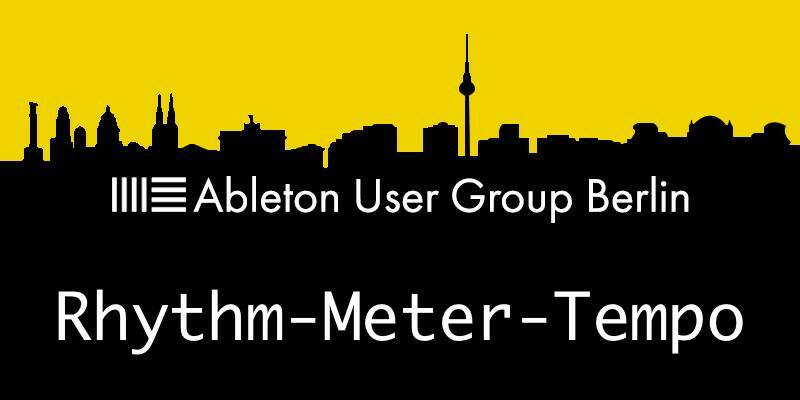 Zsolt is both a long-time attendee and a frequent presenter at the Ableton User Group Berlin. Having had some formal education in both engineering and classical music, he eventually gravitated towards electronic music production as a hobby about ten years ago. Before moving to Berlin in 2015, he used to teach classes on sound synthesis and the physics of sound at the imPro Budapest School of Music Technology. Recently, Zsolt has started exploring generative music composition techniques using different software and hardware devices. Brian is co-organizer (along with Maya) of the Ableton User Group Berlin. He is an Ableton Certified Trainer and owner of big brain audio, where he teaches sound design, audio production, and sound synthesis. He studied music (specializing in composition electronic music) and creates glitchy soundscapes in a small room, hidden from the public ear.